A frequent complaint from tenants is unannounced or unnecessary visits by the landlord. At the same time, landlords who fail to supervise the property can suffer losses from damage, crime or neglect. How can a landlord strike a balance? Inherent to every lease agreement is a promise to provide the tenant quiet enjoyment of the property, which includes respecting the tenant’s right to privacy. If a tenant’s privacy is violated, the tenant may have the right to claim damages or break the lease. With that threat looming, it is easy to understand why many landlords decide that it’s safer to simply stay away. Unfortunately, that strategy doesn’t work. At the same time the landlord must protect the tenant’s privacy, the landlord has a duty to others to supervise the property to ensure that the tenant is not committing crime, causing safety or health concerns, or disturbing others. Inspect periodically to uncover hazards that could cause harm. Advance notice to tenants before visiting the property is one of the best ways to draw the line between tenant privacy rights and duties owed to others. Providing notice to the tenant shows that you are respecting boundaries. Many people don’t like someone simply showing up at the door — even if it’s a social visit. Notice requirements are set out in local rental laws. Something between 12-72 hours notice typically is required. Visits must be conducted during “reasonable” hours, but what that means may depend upon the tenant’s schedule. Tenants have a right to notice in the vast majority of situations. Despite the letter of the law, it’s always a good idea to give notice when possible. That’s just good business. Sometimes, it’s necessary to show the property to an incoming tenant or a potential buyer. It’s not ideal to show an occupied property, especially if the tenant is being forced to leave because of a potential sale. However, if it is necessary, give the current tenants as much notice as practical so that the property will show well. Real estate and leasing agents should provide notice each time — a blanket notice generally will not suffice. Landlords may resist inspections as much as tenants, but these routine visits are a necessary part of active property management. It helps to provide for routine inspections in the lease agreement and to discuss the requirement with the tenant prior to leasing. The term “inspections” sounds intimidating, but there is no reason these visits have to be unpleasant. Assure the tenant that this is an opportunity to discuss potential repairs or tenant concerns and at the same time confirm that the tenant is complying with the lease agreement. Even if a schedule for inspections is included in the lease, it is still necessary to provide the requisite notice prior to the inspection. 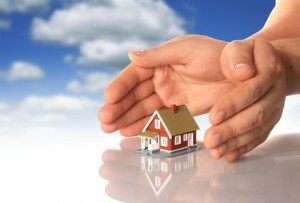 If you have to visit the property for a repair or other issue, consider doing your property inspection then. That limits the number of visits, and saves you time, too. Follows up with the tenant after the repair appointment. Thank the tenant for reporting the repair so that it could be fixed without causing unnecessary damage to the unit. Foster relationships with vendors — like setting up accounts in advance and asking the vendor to perform routine maintenance so they are familiar with the property — so that you can enjoy preferential scheduling for repairs and peace of mind that the vendor can be trusted. Be prepared with a workaround if the repair is going to be delayed. Don’t leave the tenant without heat, air conditioning, hot water or laundry machines for days at a time without considering such things as portable appliances, temporary housing or reimbursement. Typically, tending to the outside common areas is not covered by notice requirements. At the same time, to keep tenants happy, be mindful of vendors like groundskeepers peering into tenant’s windows or otherwise disturbing quiet enjoyment with noise, smoke or dust. Roofing repairs and other outdoor maintenance should be discussed with tenants so they are not caught by surprise. Notice rules generally don’t apply to emergencies, like repairs that will cause injury if not addressed immediately, or where the tenant may be injured or in danger. It is possible for a tenant to consent to the landlord’s visit and in essence waive the notice requirement. That consent has to be specific to the situation. So, for instance, the lease cannot provide a blanket statement that the tenant always will consent to the landlord entering without notice. Also, the consent must be voluntary. Occasionally, tenants have offered consent, then later claimed to have acted under duress or intimidation. Don’t leave any gray area for interpretation. Be sure to document the communication where the tenant offers consent.